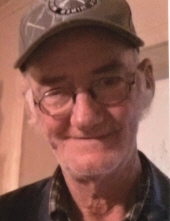 Danny Osborne, 67 years of age of the Clifton Fork section of Raven, VA, passed away Thursday, February 14, 2019 at his home with his family by his side. Born April 19, 1951 in Richlands, VA, he was the son of the late Willard and Beulah Stilwell Osborne. Danny was a retired coal miner, an avid outdoorsman who enjoyed ginsenging, and yard selling. He was a member of the Little Garden Pentecostal Church, a loving husband, father, grandfather and friend. In addition to his parents Willard and Beulah Stilwell Osborne, he was preceded in death by his brother Roger Osborne, sisters Annie Miller and Betty Smith. Survivors include his loving wife of forty-three years Wanda Vanover Osborne of Raven, VA; daughter Crystal Deel and husband Joe of Vansant, VA; son McKinley Osborne of Clifton Fork, VA; granddaughter Tiffany Justus and fiancé Anthony “Bart” Coleman of Prater, VA; sisters Maybell Miller and husband Alan of Jewell Ridge, VA, Brenda Shortt of Dismal, VA, Sylvia Miller and husband Mack of Raven, VA, Doris Mitchum and husband Chester of Rosedale, VA; brothers Bobby Osborne and wife Madge of Richlands, VA, Melvin Osborne of Raven, VA, Eugene Osborne and wife Lois of Richlands, VA, Sterling Osborne and wife Vivian of Clifton Fork, VA, Jerry Osborne and wife Debbie of Whitewood, VA; several nieces, nephews and friends. Funeral service for Danny Osborne will be held at the Shortridge-Ramey Funeral Home Chapel of Keen Mountain, VA, Sunday, February 17, 2019 at 1:00 p.m. with Brother Eddie Mitchum and Reverend Andy Presley officiating. Burial will follow in the Osborne Family Cemetery on Osborne Mountain, Raven, VA. Active pallbearers will be his dear family and friends. Honorary pallbearers will be his family and men of Little Garden Pentecostal Church. The family will receive friends at the Shortridge-Ramey Funeral Home Chapel of Keen Mountain, VA, Saturday, February 16th after 6:00 p.m. with an evening service to be held at 7:00 p.m. In lieu of flowers, the family requests donations may be made toward the funeral expense. The family of Danny Osborne have entrusted the care of their loved one to Shortridge-Ramey Funeral Home of Keen Mountain, VA.
"Email Address" would like to share the life celebration of Danny Osborne. Click on the "link" to go to share a favorite memory or leave a condolence message for the family.